Clean with minimal age discoloration, mild exterior wear, spine straight with rocking hinge, dustjacket moderate amount of edge and corner wear, flaps intact with address label affixed to front flap. 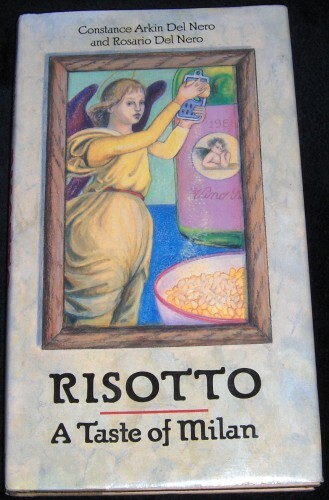 Charming collection of recipes and anecdotes...a marriage between Italy's favorite recipe and delightful stories from the life and imagination of the authors. Attractively illustrated.